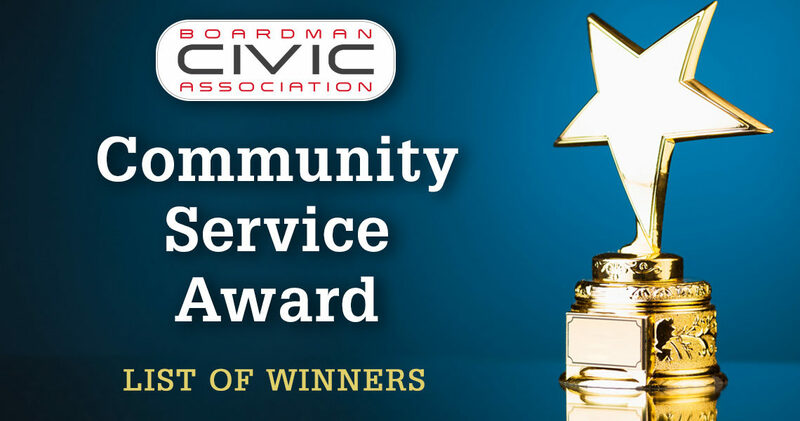 The BCA Community Service Awards are being awarded for the first time in 2018 and recognizes the overall contribution of selfless community leaders and residents who are dedicated to maintaining, protecting and increasing the quality of life of Boardman Township residents. Lifetime Achievement Awards have been awarded since 2015 and recognize contributions to education. Awarded at Scholarship Dinner – award primarily related to education.